Statue of Father Junipero Serra, a Franciscan friar and founder of the California Missions, blessing a Juaneno Indian boy. Fr. Serra was beatified by Pope John Paul II on September 25. 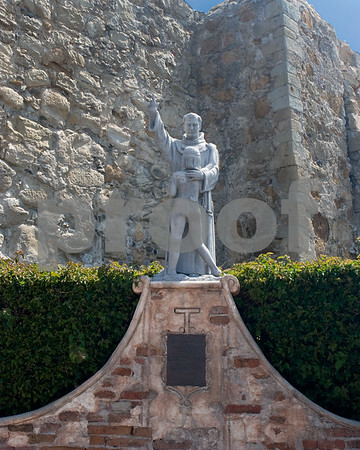 The statue was scuplted by Tole van Rensalaar, and is located in the courtyard of Mission San Juan Capistrano, The Jewel of the Missions.